I had the honor of being the drum major of Thunder Drum & Bugle Corps. I was asked to fill the drum major spot last minute and even though it was only a three-week tour, I have to say it was the best summer of my life! 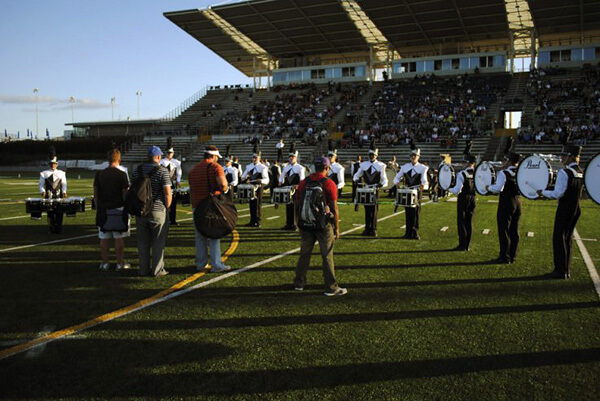 This is a photo of the Thunder drum line warming up in Hillsboro, Ore.